Bondo<sup></sup> fibreglass Cloth Tape, Mat and Cloth are perfect for any job requiring additional strength and reinforcement. Great for repairs on any surface, including metal, fibreglass, and wood. Use with Bondo<sup></sup> Polyester fibreglass Resin for hundreds of waterproof repairs on cars, boats, campers, trucks, snowmobiles, tanks. etc. Will not rust or rot. Minwax<sup></sup> Wood Putty<sup></sup> is a non-hardening, pre-mixed putty that fills small holes and covers other minor imperfections in bare, painted, stained, and finished wood. Minwax<sup></sup> Wood Putty<sup></sup> is color-matched to Minwax<sup></sup> Wood Finish stains. 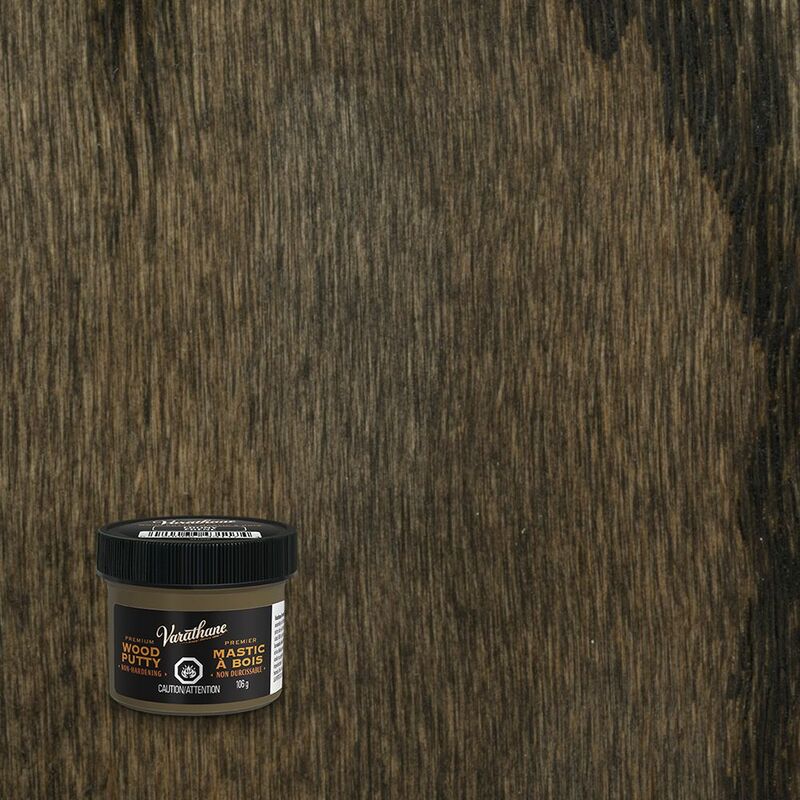 Wood Putty Ebony 106g Varathane 106g Premium Wood Putty is an easy to use, non-hardening wood putty. Ideal for filing nail holes and minor defects after assembly and finishing.